White Paper on social care – what does it mean for you? Many families are wrongly told that NHS Continuing Healthcare funding is only available for people who are at the end of their life. Not only is this incorrect, it often means that elderly people with significant health needs are wrongly denied the free NHS care they are entitled to in law. Continuing Healthcare funding for care fees depends on the extent of your relative’s health needs, not what stage of your life they’re at. Assessments are supposed to be carried out swiftly, no matter what your relative’s degree of health needs. There is, however, a special process that should be used in emergency situations when a person is in a period of rapid deterioration or when a person is in ‘terminal decline’ at the end of their life. Nursing care is provided by the NHS, and NHS care is free – in law. The Continuing Healthcare eligibility criteria are based purely on care needs and NOT on a person’s money, and by looking at the criteria – and at the local authority legal limit for means tested care – it will be clear whether or not a person should receive full NHS funding for their care. If your relative is in terminal decline at the end of their life or in a period of rapid deterioration, you can insist on them having an urgent Continuing Healthcare assessment. This is done using the NHS Continuing Healthcare Fast Track process (‘Fast Track Pathway Tool for NHS Continuing Healthcare’). Essentially, it’s a fast assessment to get NHS funding in place as quickly as possible. It is used if your relative has urgent health needs and/or nursing needs and is rapidly deteriorating and/or in a terminal phase of life. It is also used if your relative’s health is likely to deteriorate rapidly before the next routine Continuing Healthcare review. It is not only for people at end of life. It allows a quick decision to be made about Continuing Healthcare funding. As part of this, it allows appropriate end of life support to be put in place quickly by the NHS – free of charge – and it means your relative can have care provided in their preferred location, including at home. The Fast Track assessment should be carried out by a registered medical practitioner (the ‘assessor’), such as a GP, consultant, registered nurse, hospice clinician, etc – but this person must have detailed knowledge of your relative’s needs. Unfortunately, families report that GPs and other medics often have little (if any) knowledge of the Continuing Healthcare assessment process, and it can fall to the family to ‘educate’ them in this respect. This can be immensely frustrating for the family at a time when urgent action is required. In the Fast Track assessment the assessor makes the decision that person is in a rapidly deteriorating state and/or in a terminal phase and with an increasing level of dependency. This decision should be accepted and acted upon immediately by the NHS. There should be no delay in providing free NHS Continuing Healthcare funding just because NHS or local authority staff are arguing or debating how the Fast Track should be used. Your relative should be moved to his/her preferred place of care and have funding immediately put in place without having to go through the long-drawn-out ‘full’ multidisciplinary team Continuing Healthcare assessment process. The NHS is responsible for this. 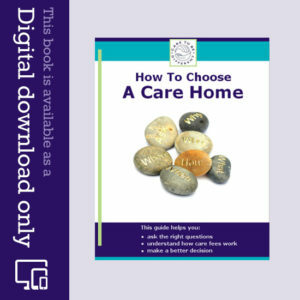 If your relative is already in a care home, and no longer owns their own home, it may be that the care home will be the best place in which to remain. Once Fast Track Continuing Healthcare funding is in place, it should never removed without the NHS going through the proper review process, i.e. a full assessment process carried out by a multi-disciplinary team (MDT). This ‘full’ assessment process uses a form called the ‘Decision Support Tool’ (DST). Only once the Fast Track assessment is complete and funding is put in place should an MDT review process ever be started – and only if this MDT assessment is really necessary. This full MDT assessment process should never delay urgent Fast Track end-of-life funding and care. If parts of the Fast Track form have not been completed, or if the assessor does not know how to complete it, or the patient cannot assist in completing it, this should never delay a decision about funding or delay NHS care being put in place. Essentially, the Fast Track allows for a decision to be made quickly that your relative has a ‘primary health need’, that they have a rapidly deteriorating condition or are in the terminal phase of life, that their needs are more than ancillary to the provisions of accommodation by a local authority, i.e. the care they need is beyond the legal remit of Social Services. Remember, ask for a Fast Track assessment if you feel your relative should have one. If this is declined, and yet it’s clear that your relative is declining rapidly, put your concerns in writing to the Chief Executive of your relative’s local NHS (Clinical Commissioning Group) and copy it to the Continuing Healthcare Team, the GP, all appropriate consultants, nurses, medics, clinicians, carers and the care home manager (if relevant). If necessary write to your MP. If it’s obvious that your relative needs urgent nursing care, you could also refuse to pay (or continue to pay) care fees at this point. This does, of course, raise a further question: If a rapid decision can be made using the Fast Track process, why can’t all NHS Continuing Healthcare assessments be as quick? 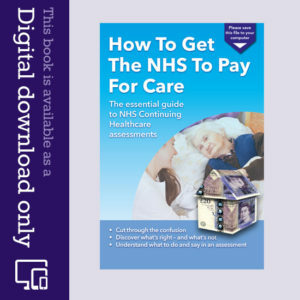 Read more about how to get assessed for NHS Continuing Healthcare. My mother has terminal pancreatic cancer and was given fast track funding in hospital. This was relayed in both a phone call and face to face by the discharge co-ordintor. On our request as the hospital care was diabolical my mum moved to a hospice. My mum has improved, still no longer eats but can walk again and is no longer incontinent. Was due to come home next week but they have now told us she no longer has funding. ( They told us she had less than 3 months to live) I have given up my job( I live 4.5 hours away) to spend more time with mum. But now don’t know what do I do? Mum does seem better right now but could not live alone. Mum was fast tracked in Oct 16, the 3 month review wasn’t done , had an assessment in May 2017 and the assessor said mum had deteriorated and would still recommend funding. We have just had an annual review July 2018, with social worker and assessor who have said mum is now not eligible for NHS funding as she is not on end of life crisis medication, apart from that all of mum’s health needs are the same as when she was funded. Mum scored this time July 2018 1 severe, 3 highs 5 mods 1 low and 1 no need on dst, on last dst May 2017 and funded mum scored 1 severe, 4 highs, 2mod and 3 low and 1 no need. We while appeal this decision but you are then still arguing with NHS who made decision in the first place, hardly likely to disagree with the first decision made by NHS. Dad diagnosed with vascular dementia and now in the advanced stages. Has problems swallowing due to risk of choking and also heavily sleeping maybe 22 out of 24 hours each day. Meal times are difficult as problems getting him to stay awake long enough to eat. And Home say he is putting on weight. Two weeks ago the Local care Home liaison nurse said looking at possible weeks. The Gold standard framework put in place and agreement no more antibiotic treatment for recurring chest infection/UTI. On this basis stopped court action to get Court of Protection and requested Fast Track on NHS Continuing Healthcare (CHC). Have now been advised Nursing Home doesn’t feel is “end of life” as he has improved (may be slightly to what he was) so will not approve. GP when asked to assess last time for CHC said she knew nothing about him or his needs!! Also even though agreed no more antibiotics we find out from carers he has just finished another course!!! CHC will not Fast Track as Home not supporting. We have a reassessment for CHC end of April and will download your ebook but everything is a battle. My mum passed away only 6 months ago (she was full time carer for my Dad) and things are still very raw from that loss. We have been told by the social worker that we are a “challenging family” and very involved in his care and at times this is met with a lot of hostility from the home, as they know they are being watched. We are a group of fighters on here, but I pity anyone who has no one on their side and fighting their corner. The group and support on here is amazing but is there nothing more we can do politically to bring about a legal challenge to CHC collectively? We are all experiencing the same problems. To grvjoedt st my wits end with the daily battles!! CCG refuse to act on Fast Track ! What can we do now? Doctor completed and submitted Fast Track to CCG. Social Worker and CCG put pressure on Doctor. Doctor leaves a voice mail rescinding the form she has completed. Multiple issues plus suspected cancer but none emergency hospital appointments cancelled as End of Life palliative care so un confirmed. Mother now weighs 35kg – lost 3.7 kg (15%) last week from 50.5kg 12 month ago. Formal complaint to CCG board governance – one of the few areas where their hands are tied they must act without delay. Try posting on their Facebook page. Just when you think it can’t get any more insane, consultant finally signed fast track paper work …. hospital is now of the view that they can stop treating MIL tomorrow scheduled blood transfusion now abandoned. Hi I am struggling to deal with the complex system. My Mum is being “fast-tracked” at present. Nobody within the hospital has given me anything on paper as to what this means, no booklet about any process to be followed no person to communicate with or who is in charge from the professional point of view in managing this process. My Mum was awarded Fast Track,Continuing Healthcare funding a year ago, I have had an e-mail saying that a review will take place on Monday which I’ve asked to be changed so I can attend. What I would like to know is, who should be at this Fast Track review ? I’m sure it’s to try and withdraw funding. My mum has recently been diganosed with terminal brain cancer, with a few months to live. At the moment she is physically able but her memory is very bad and she is easily confused which we are told will only get worse as the tumour grows. Because of this she is unable to return home and we are looking at putting her into a care home. Yesterday a doctor came to assess her for NHS Continuing Healthcare (CHC) Fast Track but we were told they could only approve this if we agreed to sign a ‘Do Not Attempt CPR’. If we do not sign this we will have to go through the normal NHS CHC process and have her temporarily stay in a ‘half-way house’ (she has been in the hospital for the last 6 weeks). I have been researching but have not found anything to suggest that us having to sign this form should be the case although am not sure if it just because of the specifics of her case. Is this normal for them to ask this? Would very much appreciate advice on this. Thanks. Thanks for your reply – I thought this might be the case after I couldn’t find anything but it’s good to get confirmation from people more in the know. In that case, is there a particular procedure for challenging this decision? I know there is an appeals procedure for Continuing Healthcare generally but not sure if there is something for Fast Track specifically. Or do we just have to argue our case with the doctor? if some bizarre local policy complain to who ever wrote it if not ask doctor to explain themselves and follow up with GMC complaint as well as flagging to CCG . The doctor was a consultant in the hospital where she is currently staying. However, the message has now changed – because she has undergone some treatment (two weeks of radiotherapy to delay the regrowth of the tumour) she cannot qualify for Fast Track which I am also not sure is correct? We are currently waiting for an assessment from the social worker (this week) for normal Continuing Healthcare (CHC) funding. All very confusing and mixed messages but at least no longer being asked to sign a Do Not Resuscitate (DNR) order! Dad has vascular dementia was in a care home and asked to leave just because of aggressive behaviour as a Continuing Healthcare (CHC) assessment had been done recommending to go forward for possible funding. He then went to a mental health ward but in mean time had an internal bleed and then hospital bourne pneumonia, has lost 11 kg in 4 weeks, cannot bear own weight is bedridden hardly eats, has suspected colon cancer as well; consultant on surgical ward won’t say dad needs palliative care so discharge nurse won’t fast track him (we self funded before), and said can only consider how he is now. I had to make point that he was on dementia drugs which help the symptoms. I think she is wrong as he is obviously deteriorating and the criteria covers that, what do you think? I would be grateful for your guidance in gaining care for me mother. She is 88 years old, has a bladder cancer, a Stage IV non-Hodgkins lymphoma, Alzheimers/dementia and, as a result of a recent fall, she has 4 neck fractures in 2 vertebrae. The hospital/Local Authority seem to think she can be discharged back to her home, with a suitable level of supported care on an ongoing basis. We, as her family, believe that, after a number of falls since her latest cancer diagnosis, she is incapable of looking after herself, and would be a danger to herself, if left alone long for periods of time. The local authority seem to only have a Plan A, which is to send her home, and seem incapable of accepting any other alternative. I would be interested in your view on her situation. It seems it’s a ‘bed issue’ and we went through exactly the same scenario. I refused to allow them to send my Mum home until we found a suitable nursing home. That’s when our problems started with the funding issue. Stick to your guns and don’t be bullied. Print the paper work off fill in the admin bits name address etc, give to GP to sign, there is no down side doesn’t cost GP anything, indeed will save them money. Thank you Richard. The care home nurse has just informed me that the GP is coming in today specifically to complete the Fast Track paperwork so they have it all in hand. I will let you know how we get on but the care home manager & nurse don’t foresee any problems (hope that’s not my famous last words)! Hi, my 92 yr old widower uncle was admitted to hospital with heart and kidney failure in the New Year. He was stabilised and they wanted to discharge him back home with a 12 week rehab package in place. However he had lost all confidence of living alone and we arranged for him to be discharged to a care home with his agreement. He is self funding has been there for a month. Last week he suddenly declined and is now bedridden, hasn’t eaten for 8 days, is only taking a few sips of fluid, is now doubly incontinent, can hardly speak and is becoming confused and agitated. HI there – I would ask the GP, a fast track is for any case of deterioration so your Uncle definitely sounds eligible – in my Dad’s case it was requested by a nurse attached to the surgery who saw him at the psychiatric hospital and was agreed within 48 hours. The consultant at the hospital said in her opinion it should be granted on the recommendation of just one professional. Wish you luck! Thank you Amanda. The GP is seeing my uncle today so we will try & be there to speak to them. I will let you know how we get on. Hi Nat – my Dad was Fast Tracked in November – he has terminal cancer and dementia but was not at end of life – he was in a psychiatric unit which was rather costly for the NHS! Anyway I was told that Fast Track can be awarded in any case of deterioration and was certainly not only applicable if the person has less than 6 weeks left – it was granted on the recommendation of his consultant and and after a MDT meeting. However as he is now settled and seemingly improving in the nursing home they have done the 12 week assessment and reckon he now longer qualifies! Currently in process of appealing. If your Dad is Fast Tracked they do a full assessment after 12 weeks – hopefully for you the panel will change their decision from the main assessment! Good luck! Just to update my comment above….the CHC nurse assessor has now informed me that she has changed her mind about my Dad’s eligibility and is going to inform the panel. Hopefully this will mean the panel say he is eligible. But what happens if the Macmillan nurse ‘Fast tracks’ him before we get the decision from the main CHC assessment? As I understand if Dad is found eligible all the care fees we’ve paid will be backdated to the checklist but if he gets fast tracked then only care fees going forward will be paid for which will mean the last 3 months of my life have been a complete & utter waste of time. Also just a quick question is it true that fast track is only given if they think the person has less than 6 weeks to live? Three NHS workers working in the same CCG have now said this to me. I’ve been battling for Continuing Healthcare (CHC) funding for my Dad since November. We had a CHC Checklist eventually done in December and the assessment in January. The panel are in dispute about whether my Dad is eligible! Meanwhile, Dad has deteriorated and now has a Macmillan nurse who says she will Fast Track him. Does this mean that they will backdate all of Dad’s care since the Checklist in December? Or will he just be funded from now on? Continuing Health Care is free of charge – it surprised me on the application form which has been started that it says something along the lines of needing to look at finances, bank statements, etc. Its free of charge without being means tested so why the intrusion into finances??? Hi there – my father was awarded CHC via the Fast Track route in November – he has dementia and was diagnosed with terminal lung cancer with bone mets in September given weeks to months to live. Given his confusion which has been fairly sudden onset he was sectioned under section 2 and subsequently moved to a nursing home when the CHC fast track was awarded. Now 12 weeks on and a nurse is due to do a full assessment on Monday telling me she needs to be there and hour before me and making noises about his finances – has anybody else had experience of CHC after the initial 12 weeks of fast track – as far as I can see he needs palliative care as no treatment is on offer and due to his dementia is unable to properly care for himself. He tends to raise his game when with a medical professional and will say he is capable of things he is clearly not – does he stand any chance of the CHC continuing? My husband was sent home from hospital early January (about to start treatment for Grade IV glioblastoma) with the news that it was terminal with short weeks left to live – we have had hospice care at home (once a day) since Monday of this week due to rapid deterioration and resulting in my husband now being bed bound. Prior to this time, my husband didn’t want any hygiene care (partly due to pride and wanting to remain independent until he was in a desperate situation to needcare) and so we had the hospice carers round once a week for him to get to know and just sit and chat with. Since his deterioration this week I have become concerned about gaps in the lack of care being required between various parties such as the hospice, GP and community nurses and as to who does what. The hospice believed that the GP had organised Fast Track and the GP thought the hospice had arranged Fast Track. It transpires (as I suspected this weekend) that no one had arranged anything. I was told by the hospice that until this week we had not wanted care in place and that this is why Fast Track wasn’t applied for as far as their responsibility for this was concerned. I pointed out the fact that my husband had remained independent for as long as he wanted to, until this Monday when he became bedridden, was no grounds for the process for funding not having been put in place. Can you please advise – should funding have been put in place regardless of when and how much care would be needed due to a disease that has a rapid deterioration ? Funding is put in place for a specific need so if individual does not want care .. You cannot put a package of care in place. Hi ,Does anyone know how I can appeal the care plan that has been proposed for Continuing Healthcare following a Fast Track application. My mother has been given 3 visits from a nurse but we feel and the doctor who deals with her condition (psp) agrees needs 24 hr care. We have written to CCG and they are telling us there is no appeal process. Can anyone help. We had an appeal meeting and were granted the funding to be brought forward. The home are still insisting on the ‘top-up’ between their contract price with the NHS and their normal fee. I’ve got the NHS on my case with this and I’ve stopped all payments. Everybody at the NHS CHC team say the same as you…………over to them. The home are being very cheeky and I think it’s pretty poor to have all this at such a stressful time. The local NHS Continuing Healthcare team have been very helpful on this and they had a meeting on April 10th with seniors in the company that owns the nursing home. I’m now waiting for news from the NHS team. We were finally granted full NHS Continuing Healthcare funding and the home backed down and did not push the claim for their ‘top-up’. How nice of them!! Mum regrettably passed away three weeks ago and the refunds from the home and the NHS are going through now. It’s obviously been a very stressful time and I wonder how many other homes try this one on. It’s too easy to just accept what the homes say, but I was treated as a bit of a ‘guinea pig’ by the NHS and they were successful in winning my case for me. I think I would have been swimming against the tide had it not been for the NHS, and I am very grateful for their backing. Well done Geoff and sorry to hear your sad news, be interested to hear how you got the NHS on side and how they were pro active/helpful. Hi Richard, Many thanks for your words. We had a review/appeal meeting in February with the NHS Continuing Healthcare (CHC) team and were assessed as entitled to funding back-dated to 01/01/2017. I took the issue up at the end of this meeting and they originally suggested I contact CCG & CQC (?). I did but I wasn’t able to get them to react as they say they could not, so I went straight back to the CHC office and the home with an e-mail to the two parties and told them to get it sorted. The CHC team held a meeting with the main group who own the home, and they finally told me the home agreed to the ‘rules’ and would not be pushing for the top-up which was £467.95 per week. The NHS team told me that the NHS CHC areas have various arrangements with their local homes, but the fact that there is a national framework allowed them to find in our favour. My contention is that homes will try it on and no doubt get away with it in a majority of cases; people generally cave in when their loved ones’ care is the issue, but I didn’t, and I hope my ‘guinea pig’ status is gonna help others in the future. God forbid, it might help my kids but………………………………. My mother is ‘end of life’ with palliative care and in a nursing home. We went through the fast track system after initially being refused at the first assessment. Her worsening condition prompted the home to push for fast tracking. We were then accepted but not the full funding. What are the rules regards funding amount? It should be full funding, Geoff. Hello, my mother has had a fast track application made by the hospital and I have a nursing home ready for her. Could you give me an idea of how long it will be before a decision is made? Thank you. It should be immediate, Maddie – and care put in place within 48 hours. I purchased the e-book in the Summer of 2016. It was so helpful. Thank you very much. I completed the initial assessment and asked my Father’s GP to sign the documentation. My Father immediately progressed to the next stage. We did, however, have to wait a few weeks for the DST assessment. The time delay was not helpful. Following the DST assessment more time dragged on. I insisted on attending the grading meeting, together with my Mother, husband and Manager of Home Care agency. We went in prepared to battle. I also contacted my Father’s local MP and “Rip Off Britain”, and NHS CHC was mentioned on “Rip Off Britain” in September 2016. Sadly whilst the NHS was taking its time obtaining evidence with regards my Father’s health, he started to deteriorate quite rapidly, therefore, I asked his GP to complete a Fast Track. Fast Track was completed and submitted last Monday and by Tuesday morning it was approved with the funding back-dated to the Monday. My Father has dementia, unable to weight-bear, osteoarthritis and is catheterised. Sadly now his kidneys and heart are failing and he is bed-bound as he is quite poorly. I am still awaiting to hear whether the initial assessment has been approved as I would like that back-dated to when we commenced the process. The information in the e-book was invaluable and without this I do not think I would have been successful. The amount of time I put into my Father’s assessment to fight for his rights was well worth it but draining, stressful and tiring. The NHS CHC team were extremely kind, helpful and understanding, however, they are governed by budgets and it’s their management team that they must follow. My Father’s GP was amazing and supported us every step of the way. Get your GP on board. If your GP does not know about NHS CHC educate them. Following your useful e-book I was bold, stood my ground, spoke up for my Father and fought for him in the meetings. I disagreed with their comments and asked them to increase the ratings as I disagreed with their gradings. I put them on the spot. I told them our MP wanted to know the outcome and that “Rip Off Britain” also wanted to know the outcome. If I had not done the work my Mother would not have even bothered to go through with the process as she has her hands full caring for my Father. I will let you know if the initial assessment is approved and back-dated. Liz – thank you so much for your kind feedback on the book. I’m glad it’s been helpful – and well done for standing your ground and securing the Fast Track funding. It’s not always easy to stand up to assessors, but your case shows that the more you let them know that you’re well prepared and informed, the more likely the assessors are to do things properly. It doesn’t always work like that of course, but it certainly can help a lot. Hi liz. My father is in a very similar situation yo your father. Did you get your assessment approved? I wanted to let those on this site know, my husband died in mid-August. He never got a fast track, with the final refusal for a fast track from the CCG, just a few days before his death, we were told he wasn’t ill enough. At that point, I insisted we took him home, we had no outside support in his last days except for the last three nights when a Marie Curie nurse came and right at the end when a district nurse came and put in a syringe driver. The GP was useless, only visiting once and didn’t do any more than look in the door at him and ask if there was anything I thought he ought to prescribe for him, all of ~30 seconds! Care companies, who I was by this stage happy to pay for had absolutely no capacity, as they said it was two person nursing care he required. We tried over 20 different companies in a 35 mile radius of home. We all feel so bitter, he had a traumatic and horrible death which we all still find haunting, weeks later. The only comfort we have, is that he at least died with all his children and family around him. I know that we are just one family, but, this is happening to so many others right now. Our CCG is now closing half of all community beds in the area. Apparently, patients will be better looked after in there own homes! I have just come across a risk assessment online from the CCG website, currently the top of this risk list, in the critical red zone, is support for people in their own homes. In this document they say they can’t pay for it and can’t get enough capacity even before the planned closures. There will be hundreds in this area facing what we have had too as a family. I wanted to let people know that we are happy to be contacted by the press/charities/researchers, because, if we can do anything to stop this happening to other families, we would be happy to share all the details of our story because it is in our view scandalous that the NHS has come to this. Sharon – thanks for your comment. What an awful ordeal for you – and to be let down so very badly by the NHS and at such a difficult time. When you feel able, you may want to contact the press directly about what happened in your husband’s case. NHS Fastrack have just this week appointed an outside care business to provide (at home) care for my terminally ill wife. They have selected a business who have recently had a business name change and therefore are having to go through the registration process with the Care Quality Commission (CQC) all over again. So from that I deduce that this business is notcurrently CQC approved and ask why NHS have instructed a non CQC approved carer? Speaking to CQC today they have confirmed that the process could take another 6 months before an assessment is made. This sounds worrying to me. That’s a good question, Steve. Is the CQC aware that the company is already being asked to provide care? And how is the quality of care so far? Yes I spoke with CQC prior to the provider actually starting. The quality of the care is excellent though. My husband is barely alive now and in a dreadful state, he had now been assessed for CHC following the fast track refusal, he scored highly on the assessment made at the hospital, but, the hospital have been told by the CCG they scored too highly and need to reassess him and lower the scores. They are playing the system, it is corrupt and uncaring. We as a family are going through hell. They have misled us throughout the process and I have been told that I can play no part in this reassessment. It would seem the rapidly deteriorating condition is essential, as because my husbands condition stabilised (albeit at a critcally ill state), it wasn’t enough, I have since been told that was the reason he was refused for fast track by CCG. The hospital are now doing a full assessment as supisingly when the check list was finally done and sent to CCG he was in fact eligible to apply. The meeting to score this was held earlier this week I wasn’t invited or informed when this was happening, I have been told I will get a copy for my comments. He is now so unwell, as I said in my previous email going home just isn’t an option now, that’s past. Being terminal in your last weeks/days is simply not enough. Sharon – the above response to Paul may help you. Also, the fact that a person is ‘stable’ doesn’t automatically disqualify them for Continuing Healthcare. This may help in that respect: http://caretobedifferent.co.uk/continuing-care-assessments-2-frequent-mistakes-part-2/ Also, if the assessors failed to involve you and record your own input at the MDT meeting, they should do this again, as the process is supposed to be open and transparent. Having you involved is vital – and this is made very clear in the National Framework and other guidance. Would Fast Track apply to an individual who may be entering a terminal phase but whose condition is only gradually, rather than rapidly, deteriorating? In other words is entering a terminal phase sufficient on its own or does it have to be accompanied by rapid deterioration? That’s a good question, Paul. I would approach is this way: The NHS must look at every case on its individual merits, so I would suggest that you push for the Fast Track regardless, on the basis that the care needs are beyond the local authority’s remit for providing social care only – if indeed you believe that to be the case. Be sure to look at the usual eligibility criteria for Continuing Healthcare as that will also give you good ammunition. And remember that you only need the opinion and signature of one appropriate person for the Fast Track funding to go through; there does not need to be an assessment by a whole multidisciplinary team. Nor does it matter what the current prognosis is (in terms of the time the person may have left to live). I wanted to let you know what happened, the GP put in for fast track CHC and it was REFUSED! They are now doing a full assessment. It is so heart breaking for all the family, because my husband is now so confussed, he would not gain anything from spending his last days/weeks at home because it is all forgotten! Our only opportunity to get him back has been lost and we can never get that time back again, we all really wanted him to have a good death with all of us and in his bed, now it will be in hospital. This is the dilema: There is really no support out there to do the above, the hospice nurse told me that they (all those very close to death (days)) have to wait for one of them to die, just so that staff can be freed up for the next, they abosolutely have to prioritise those who are already out in the community and he is in hospital, so comes very low on the list i.e. there is not and has not been the support that would have enabled him to go home in any case, irrespective of CHC money!! The “one chance to get it right” is a joke!!! Met LA social worker yesterday to do financial assessment asked her to explain her understanding of Coulghan , had never heard about it had had no training asked her to confirm who her client was ? “mum in law” , asked her why she hadn’t attended dst meetings etc she hadn’t been invited and never had been to any assessment meetings for any client. Asked her to explain her understanding of the legal limit concept not idea what that was. Consultant came in at this point and admitted MIL has dementia ( had been delirium up to now) stated 24h care at home was best for her as her needs (multiple) were unpredictable, severe and progressively worsening ;social services say they can only do 4 15min visits a day but couldn’t explain why that arbitrary allocation. On basis of “new” diagnosis and her rapid decline mentally will be asking for Fast Track Continuing Healthcare assessment today ideally with same consultant. Thanks – yes very worried social worker by the end of that meeting clearly out of her depth, but as she does this work day in day out based at the largest hospital in our LA it begs the question how many CHC refusals have been wrongly “rubber stamped” on behalf of the LA? If your dad is receiving Continuing Healthcare under the Fast Track, the NHS must cover ALL his assessed care needs, Jill. I had a meeting at the hospital yesterday, when they have agreed to go down the fast track route for my husband, our local GP who was at the meeting, openly said, how totally frustrated he is and that he spends most of his professional life dealling with patients who can’t get what they are entitled to. They all agreed at the meeting that he should be fast tracked, but, all felt it would be refused by CCG, not because he doesn’t need it, but, because the CCG have been told to cut their spending on CHC and now have external management above them preventing them from approving CHC requests. So much for the framework saying that cost should never be a consideration! Sharon – a recommendation for Fast Track funding should not be debated by the CCG prior to care being put in place. The opinion of the referring professional is enough, and care and care funding must be put in place within 24 hours. Any discussion should come after that, so that there is no delay. You can get the GP to do the Fast Track if that helps. My husband has just been diagnosed with very advanced and aggressive oesophageal cancer, he has been given weeks to live, he is very weak and has just had a palliative stent fitted and is currently in our local community hospital. He desperately wants to return home to die. We were asked to attend a meeting today to see if we could prepare things so he might be able to go home to die as he wishes too. The result of this was my daughters and I have just been to one of the most disappointing and upsetting meetings at our local community hospital, which we left with a sense of incredulity. The first part of the meeting was focused on if he had more than £23K in the bank as he would have to pay for care??! I said that as a terminal cancer patient, who had some very clear need for ongoing nursing and support, he should automatically be fast-tracked for Continuing Healthcare (CHC), they seemed very surprised by my response to their intrusive questions about his financial circumstances and promptly replied he wouldn’t be eligible, without any sort of assessment, to, I believe, put us off pursuing this further. I genuinely believe that this NHS funding for end of life care would not even have been bought up in the meeting, had we not done so. Surely it was totally inappropriate to worry us about paying for care at this stage before any assessment of need or even going through the Checklist. My understanding is that the first 12 weeks of care can not be charged for in any case. Has anyone out there had a similar experience?? Hi Sharon, What a disgraceful way to treat you in that meeting . My mum has just come home from hospital on an end of life care package and it has been fast tracked and fully funded but if i hadn’t researched, been so insistent and difficult I don’t think it would have happened (he who shouts loudest). I know this probably doesn’t help you right now but i just wanted to let you know that your husband should be fast tracked for continuing health care asap and fully funded asap by the NHS, they have a duty to do so so he can go home and be in his own surroundings and with the people he loves. Thanks for your comment, Jeanie. I think you’re right that it can be about who shouts loudest. When someone is at the end of their life, battling with the care authorities is the last thing their relatives will want to do. So distressing. Absolutely right, Sharon. Your husband should be Fast Tracked for Continuing Healthcare and it’s entirely inappropriate (to say the least!) for anyone to talk about him paying for care. The NHS must step up to its legal duty here. Yes and reading all your comments and replies has been very useful and I have printed them off to take to a meeting today at the Rehab centre and will use as ammunition for the sadly lacking adult social services provision and the CCG if need be if they try to argue the point at this critical time for my mother. First time I heard of Fast track was from the Consultant and GP this week who were extremely communicative and helpful in imparting information to me as my mother now lacks mental capacity after a disastrous operation that went wrong 3.5 months ago. It has been one fight after another against the ‘system’ who seem to fob you off much of the time and it is exhausting. I do not relish getting old if this remains the status quo. My mother has lung cancer and is in the terminal phase of the disease. She has been assessed for fast track and funding agreed Is their a level of funding limit when selecting a nursing care home that can provide the correct palliative care. When trying to find a care home 3 options were rejected by the Continuing care personnel because they were too expensive, suggesting that there must be a limit set on funding. This is not clear or stated in the NHS guidelines on continuing care and fast track, This will pose a problem as most of the other homes in the limit of funding have no beds available. I am also told that I an not allowed to ‘top up” to enable my mother to be cared for in the nursing homes that are “too expensive”. What Am I now to do to find an appropriate home in an increasingly short life span? Alan – It sounds like a very distressing time for you. The absolute first priority is for your mother to be in a place that can provide care for all her needs – regardless of cost. The NHS will know this but, as many families are experiencing, the reality can be a battle. There is no cap on Continuing Healthcare funding and, as you rightly say, top ups are illegal. She needs NHS care – in just the same way as if she were in hospital – and the NHS has a legal duty to cover all the costs. If the actions of individuals within the NHS are putting your mother’s wellbeing at risk, and they fail to source appropriate care immediately, you could let them know you will be taking action against them for negligence. Hi there, my mum is 66 and was diagnosed with vascular dementia two years ago. It’s been there for around five years and also severe COPD. She has been in hospital three times since Xmas and has rapidly declined; she has now been in hospital for eight days and is not eating, agitated, very confused and hallucinating. The hospital asked me for copy of POA and mentioned this fast-track form which could be done. I’m going to speak to mum’s consultant on Friday and I’m so glad I’ve found your article to read, because social services etc. have all asked me about mum’s house which she owns outright and has no savings. My father, 88, was taken into hospital a week ago and diagnosed with bladder cancer. The consultant decided that it is not appropriate to carry out treatment and agreed to end of life palliative care under the fast track system, which he says is recommended for patients usually within three months of end of life. He will be moved into a nursing home in a day or two and we are told the fees will be funded by the NHS. My question is, what if he survives more that the three month period? Will his needs have to be reassessed and is he likely to be liable for his fees after that? Hi Christine – if he is there more than three months, then he may be reviewed for ongoing funding. However, even if he is reviewed, the funding should not be removed unless his underlying care needs have genuinely reduced. No one should removed the funding simply as a matter of routine – and no one should ask about his money or assets until the proper review has taken place and a proper decision made about ongoing funding. Firstly can I just say that I have purchased and downloaded your boo, and, it is invaluable with its wealth of information. I am trying to apply all the arguments from it that I feel are relative to my mum, the problem is, after already going through 2 full assessments, both of which were declined, and, both with different total scores, I am finding it a minefield, as I know many others are. I have looked at the fast track tool and, obviously, I feel given mum’s rapid decline in health, as far as I am concerned she qualifies end of, but, the powers that be see it differently, and, I find myself constantly waiting for phone calls from people who just happen to not be in that day or are on annual leave for a few days. As far as I can tell the only requirement for fast track is that the person is rapidly decline in health or is at end of life. Regarding the full assessment, it would be helpful if you could tell me what numerical score she needs to obtain in order to qualify. Once again, many thanks for sharing your extensive knowledge with us. I gave already spoken to the hospital, they say thst social services should assess mum, and thst is why it was not done prior to her discharge. The district nurse looked at mum, no more than thst and asked is she eating? The answer was yes, she then said her breathing is ok, she does not qualify. I would also like to know what is the total score on the normal assessment process thst she needs to say that she qualifies. I have so many questions as we have had every imaginable obstacle put in our way, as have so many others before us. My mum has been declined twice for funding, the process to date has taken a year and has been an absolute farce. Two weeks ago, mum was rushed into hospital, having suffered yet another stroke, she was discharged back to her care home as end of life palliative care. The care home requested a Fast Track to be carried out, as they firmly believe she qualifies but, the day after mum was discharged, the district nurse came in and declined us yet again, without even completing the Fast Track form. She says mum does not meet the criteria. We do not know where we stand………can anybody advise please? The above article does not explain fast track funding correctly and gives the false impression that the funding is freely accessible. Fast track continuing healthcare cfunding only applies for 12 weeks max after which a family will have to cover the cost until social services take over the funding and in addition to this the funding will only be granted if the patient is in the terminal pahases of the disease. Thank you for your comment, Heike. As clearly stated in the National Framework page 32 paragraph 97, Fast Track funding is not only for people entering a terminal phase; it is also for people who are in a period of rapid deterioration but who are not necessarily terminal. Many people go through a period of rapid deterioration and yet do not die. We have made this even clearer in the article. A relevant professional must still ascertain whether a person warrants the funding; it is not freely accessible. NHS Continuing Healthcare funding awarded via the Fast Track process should not automatically be removed after 12 weeks, as a person’s needs may still be beyond the legal remit for local authority care. We have made this even clearer in the article, with some extra links to help you. Automatically transferring a person to social services and telling the person to pay simply puts the local authority in a potentially illegal position. The key thing in all of this is to look at care needs first. Means testing is strictly secondary and a person should be means tested ONLY if they no longer qualify for Continuing Healthcare. This can only be decided through thorough Continuing Healthcare assessment and review. Could somebody clarify the extent of care to be expected once fast tracked from hospital to home for end of life care? Finding it difficult to accept that district nursing service can take responsibility for all aspects of care but not nutrition, instead requesting social services agency provide additional package to provide food. If a person is receiving Continuing Healthcare funding, this should cover all assessed care needs – including all social care needs. People in care homes privately or LA funded are also eligible for Fast Track, as made explicit in the National Framework Practice Guidance section 54. PG 54Does the Fast Track tool need to be completed if the individual is already receiving a care package which could still meet their needs? 54.1 Yes. If an individual meets the criteria for the use of the Fast Track Tool this should be used to ensure not only that they receive the care that they require but also that this care is funded by the appropriate body and end-of-life care arrangements are reviewed. 54.2 This is important because the individual may at present be funding their own care or the LA may be funding (and charging) when the NHS should now be funding the care in full. 54.3 The setting where an individual wishes to be supported as they approach the end of their life may be different to their current arrangements (e.g. even though they are currently in a care home setting they may wish to be supported in their family environment). CCGs should seek to respond positively to such preferences, having regard to best practice set out in wider ‘end of life care’ policy 40. 54.4 The setting is not the important issue but rather that the individual concerned receives the support they need in their preferred place as soon as reasonably practicable, without having to go through the full process for consideration of NHS continuing healthcare eligibility.